This is probably one of the oldest images of the Russian monastery Panteleimonos or Rossikon. 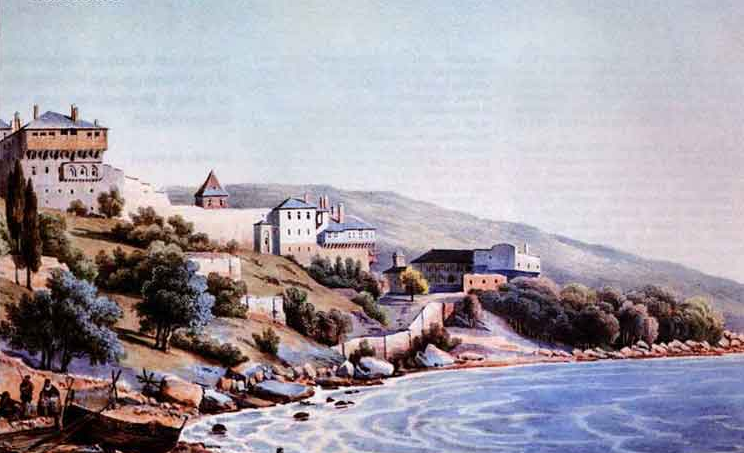 It shows the monastery somewhere between 1835 – 1839. The large guesthouses on the waterfront are not there yet. The monastery at that time was inhabited by Greek monks. 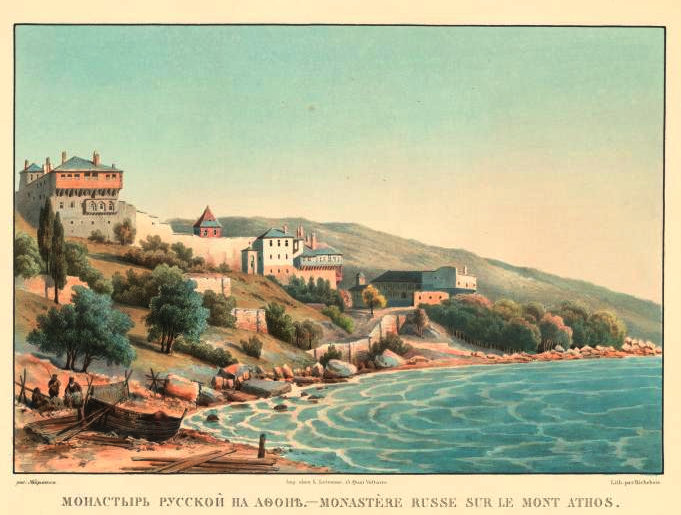 On 21th november 1839 the Russians returned to the monastery and were given 2 chapels, as well as a separate, 5 storey building to live in, on the 3rd floor of which they were to have their own central church. From that time all monastic duties were done by Greeks and Russians together but they never unified. In fact there were alot of incidents. The reason that the Greek allowed the Russians in was that they had money. The Russian wealth saved the monastery from debt and decay. From that time the Russian numbers increased rapidly. 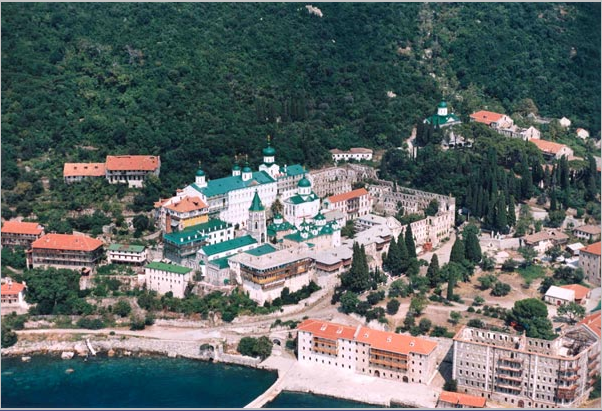 In 1875 the last Greek monks were forced to leave the monastery. The complete story is written in the interesting book by Nicholas Fennell: The Russians on Athos. Interesting image because at first sight it is not evident that it is the Russian monastery. A closer look reveals the church on the 3rd floor at the back wall of the complex and other details. Does anyone know more about this image? Feel free to post a comment. This entry was posted in 19 Panteleimonos and tagged Fennell, russians. Bookmark the permalink.